Our expedition to climb Pisco Oeste, 5752m (18,867′) is from the Llanganuco Valley, which is renowned as one of the more beautiful valleys in the Cordillera Blanca. This peak offers a spectacular position and views from base camp to the summit. The summit ridge we will be climbing is a moderate mountaineering objective and it can be ascended with just one mountain axe in a relatively quick period of time. 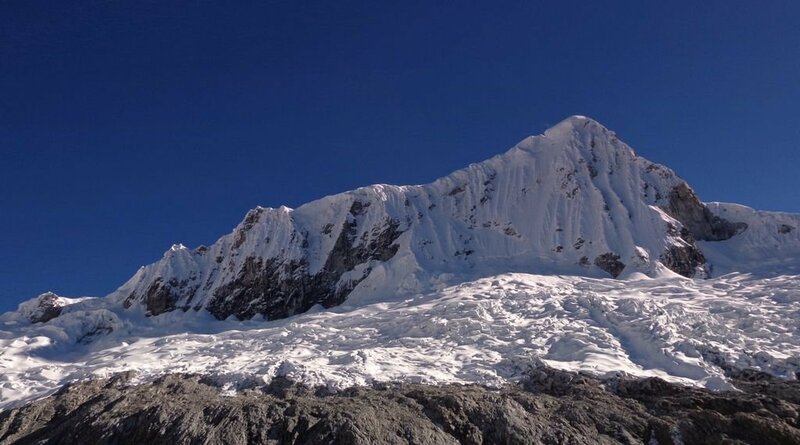 This is a great climb for those new to the Cordillera Blanca. Day 3: Orientation meeting in hotel, 4-hour acclimatization hike to the Puka Ventana. Sleep in Huaraz hotel. Day 4: Day hike to Laguna Churup (4500 meters), approximately 5 hours of hiking round trip. Return to Huaraz, night in hotel. Day 5: Head out to Cebollapampa. Hike up the Pisco Basecamp – establish camp.